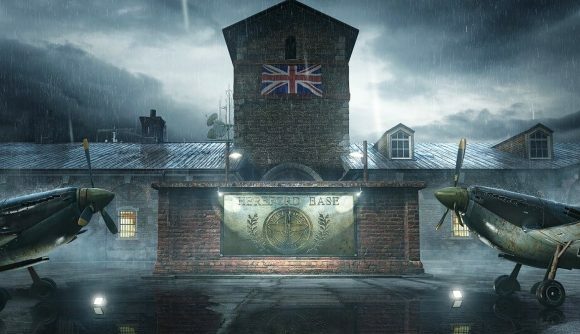 Ubisoft has finally given us a substantial look at Rainbow Six Siege Hereford Base rework, showcasing the renovations that will come to the map alongside Operation Grim Sky. It’s pretty much a whole new map this time around – unlike the previous major map changes we’ve seen this goes beyond a remodel into a full on remake. It also looks very nice, with a subtle layer of rain adding a whole bunch of atmosphere to the revamped location. As Ubisoft says, this looks to go well beyond its map buffs targeted at other locations. We’ll get further details on the new Operation as part of the Six Major in Paris this next weekend. The full reveal is scheduled for August 19 on the Rainbow 6 Twitch channel. We’ve already gotten a glimpse of the Grim Sky operators, and there should be plenty more details to come.